There is a limited stock so grab one while you can! 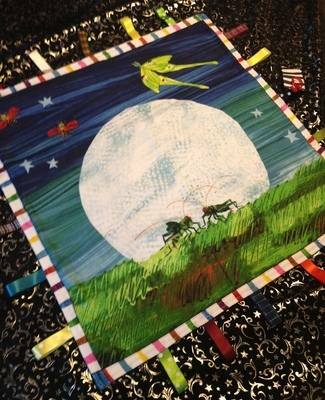 Our Giant Taggy /snuggle blanket is soft to cuddle and easy to carry while it helps to stimulate your child's senses. This is a special bespoke handmade gift! & completed with many different visually stimulating beresford fabric ribbons. Its convenient size allows it to be taken anywhere. Easily fits in mums purse or changing bag, and can be attached to the pram with a ring. This Taggy/snuggle blanket is sure to be your child's favourite security blanket! Great for birth up to toddler age! !Many matching items available !